The fourth season of Arrow and the second two of The Flash premiere this week on the CW Network. Both of these superhero shows have garnered a huge fanbase and are extremely popular with both fans who love the DC Comics versions of these heroes as well as those who don’t even read comics. I myself am pretty psyched about watching more stuff set in the Arrowverse (yes, that’s what people are calling it, apparently). On the opposite side of the spectrum, however, are the other live-action properties based on DC Comic characters. There’s ABC’s Gotham, which started out strong but a lot of the people I know who watched it just gave up on. We also have Man of Steel, DC Comics reboot of sorts to the Superman movies and the movie that kicks off the DC Movie Universe. 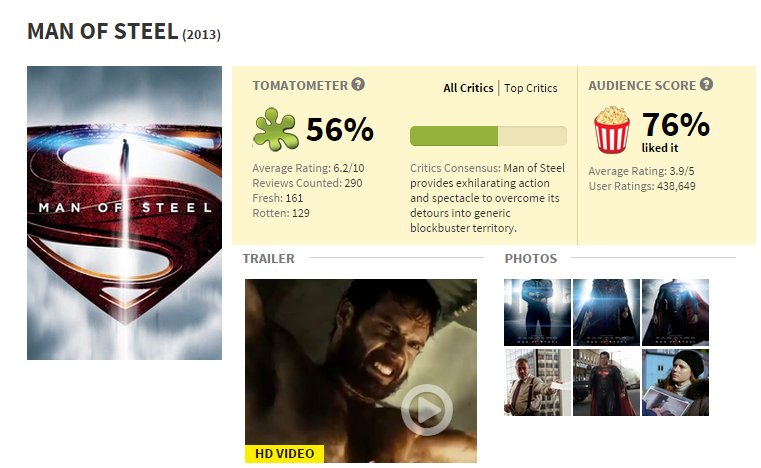 Most people thought Man of Steel was.. okay. It wasn’t anything super (pun intended). But it does beg the question: What is the CW doing right? Why does it seem like the Arrowverse is much better than the other DC properties? Still, much better reviews than Fant4stic! I don’t think it has anything to do with how accurate the shows are to the comics. If you really think about it, Arrow and The Flash are really far removed from the original source material. It’s definitely not because of the star power. In fact, it’s more like these shows made the actors, not the other way around. So, what is it that makes Arrow and The Flash better than the rest of the live-action DC shows/movies? For me, I think it boils down to getting the tone of the show right as well as giving memorable characters. Let’s talk about tone first. The CW managed to get the tone of what a show based on comic books is supposed to have. It’s not overly serious and it’s not overly goofy. This is actually much harder to pull off than you may think. Push too hard one direction and you get something that’s either humorless because it’s not funny or uninteresting because you’re not invested in the action. But, somehow, the CW gets it right for both their (current) superhero shows. 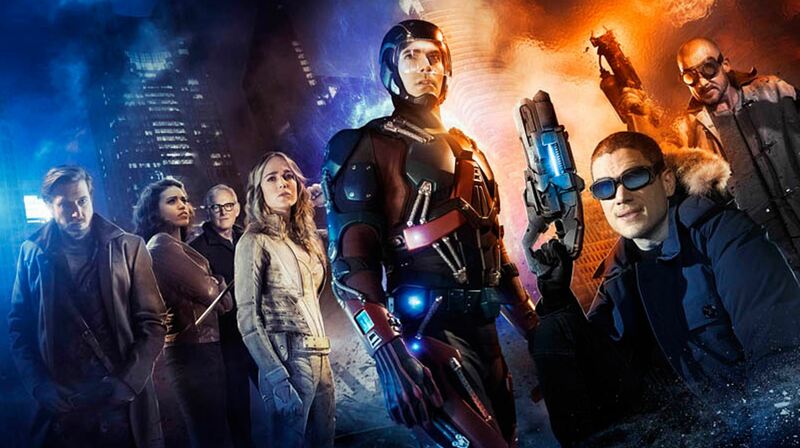 I’m pretty sure the CW will get Legends of Tomorrow right as well, though. The second is, in my opinion, is the more important thing: interesting and memorable characters. Remember when I said the CW doesn’t make accurate representations of the original comics. Well, this is especially true for the characters. In the CW’s version of the character, Oliver Queen/Arrow is more of a Batman-type character instead of the somewhat cocky and wisecracking vigilante hero he is in the comics. In The Flash television show, Barry Allen/The Flash teams up with STAR Labs’ Caitlin Snow and Sisco Ramon. In the comics, those two characters are actually Killer Frost (a supervillain) and Vibe (a low-level superhero). It’s obvious The CW have been taking liberties with the characters and their personalities. Yet, even super-serious comic book fans are fine with the changes. Why? Because, even though they did make changes with canon, they gave these character just enough of their original identity to be recognizable, yet they made enough changes to make you want to know more about them. 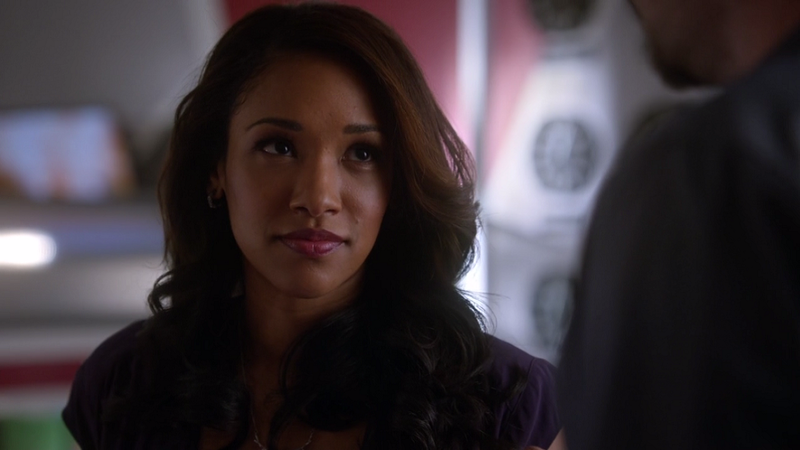 They, however, dropped the ball with Iris West’s development. Now, with the non-CW superhero live-action programs, such as Gotham and Man of Steel, DC can’t seem to get both the tone and the characters right. With Gotham and Man of Steel, everything was just so serious and bleak, making it hard to get really invested in the story. There was very little of the childishness that made superheroes fun to watch. If I remember correctly, this was the reason why a lot of people didn’t like Man of Steel. It didn’t give the sense of possibility and wonder that a Superman film should have. And while Gotham should be rather dark (it is based on Batman, after all), it just comes off too serious even for a show based on the Batman comics. I think this error of tone also causes the problem with how the characters come off on screen. Everyone in Man of Steel was just so serious and mirthless. Jim Gordon is just so bland, it hurts… which is terrible since he is the main character in Gotham! 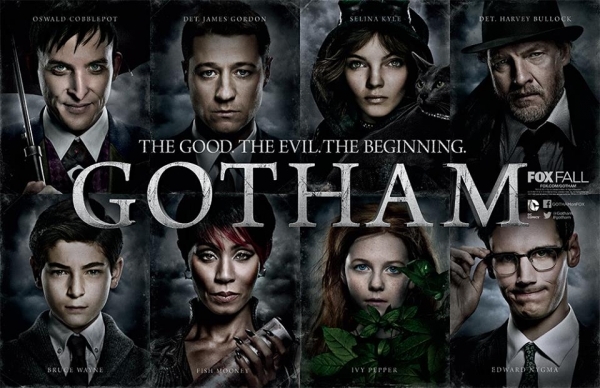 Most of the characters in Gotham, save for maybe Bullock, Penguin and Nygma, are so stoic in their acting. In turn, it makes most of the characters in the show just plain unlikable. Geez, Mr. Photographer. Add in some more light, will ya? I do, however, see a glimmer of hope for the non-CW live action programs. The first two episodes of Gotham’s second season were actually pretty good because of the introduction of the escaped inmates of Arkham Asylum. It added a bit more fun to this incredibly dark and gritty crime show. Batman v. Superman: Dawn of Justice, despite having a terrible name and the same tone as Man of Steel, looks much better since they are adding The Dark Knight to the mix. We also have the upcoming Supergirl television series and I think that has some potential. So, it’s not all bad news. I honestly hope the non-DC live-action programs do get their act together. I do see them have a lot of potential of being so much better than they are right now. But, right now, they pale in comparison with the Arrowverse shows. They should take a page out of Arrow and The Flash by having a bit more fun with their comic book superhero shows. What’s your take on DC Comics live-action shows? Let me know in the comments section below!